In this first segment, CEO Jon Slangerup talks about the impact of the expanded Panama Canal on the Port of Long Beach. Swire Shipping has launched a monthly call to Long Beach from Australia and New Zealand; the first vessel arrived on May 24. 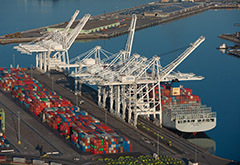 The two-vessel service, which carries a combination of containers, break bulk and vehicles, visits Long Beach and then several other West Coast ports. On the return leg, the route comes to Long Beach again before heading to the Port of Suva in Fiji. While in Long Beach, Siangtan, the ship running the inaugural route, berthed at Stevedoring Services of America (SSA) facilities at both Pier F and Pier A, discharging steel rebar while loading various cargo such as RVs, mobile homes and a yacht. 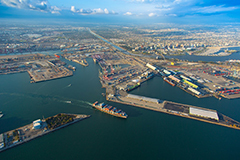 "We're pleased that Swire has chosen Long Beach, and we're happy to give them an opportunity to grow their business with this type of niche service," said Business Development Director Don Snyder. Snyder also thanked SSA for being able to provide the diverse facilities needed for this kind of vessel call. 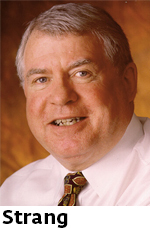 John Strang, Chairman of Strang International, the company that represents the Port of Long Beach in Australia, has been named an Honorable Officer of the Order of Australia. The award, announced on the Queen’s birthday honors list in June 2016, confers the highest recognition for outstanding achievement and service. 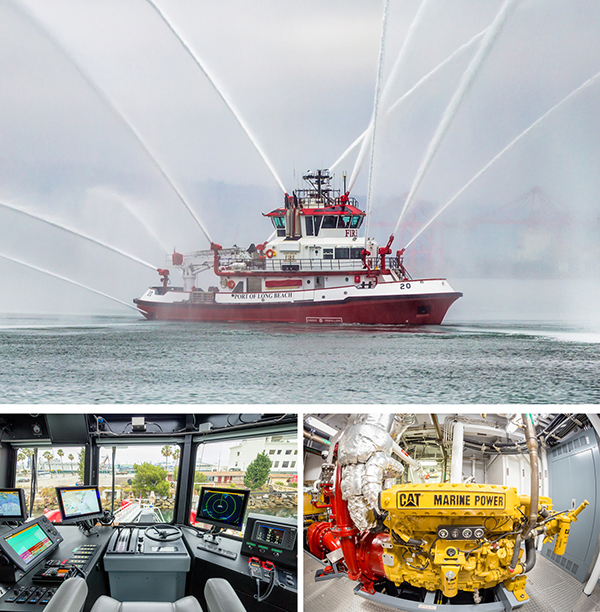 Strang International has been a partner of the Port for more than 40 years. 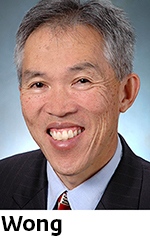 Port of Long Beach Assistant Director of Communications Art Wong is retiring after 18 years at the Port. 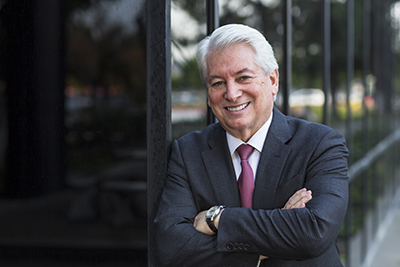 As the Port's spokesman, Art has been the primary point of contact between the media and the Port of Long Beach for nearly two decades. We wish him the best as he leaves for new adventures.